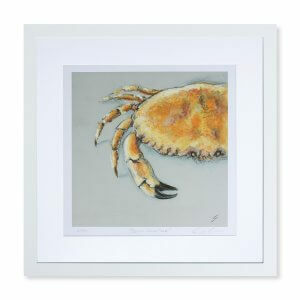 We currently have three strictly limited edition hand-signed prints available: The very popular ‘Devon Shore Crab’, ‘Fish Supper’ and, newly released for Summer 2018, ‘South Devon Lobster’. All three come in a strictly limited edition of 150 Giclée art prints and are each hand-signed by the artist. They are available framed or unframed. 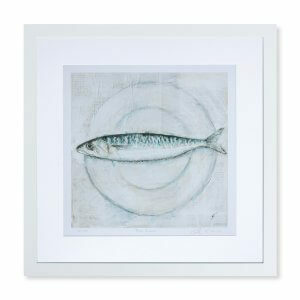 The framed version comes in a quality wood frame and white mount, fully glazed and with fixings ready to hang. The framed size is 430mm x 430mm. Delivery is currently FREE on the framed version. Go to FOR SALE for more details and to order.